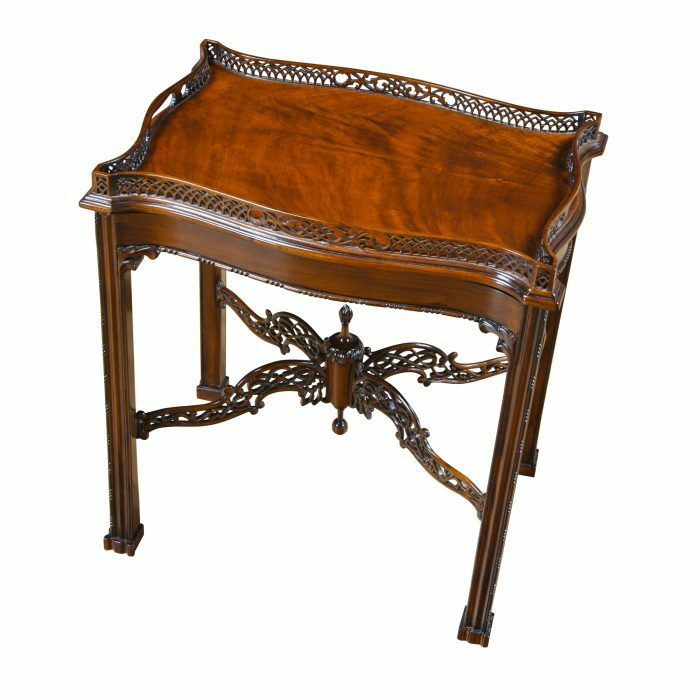 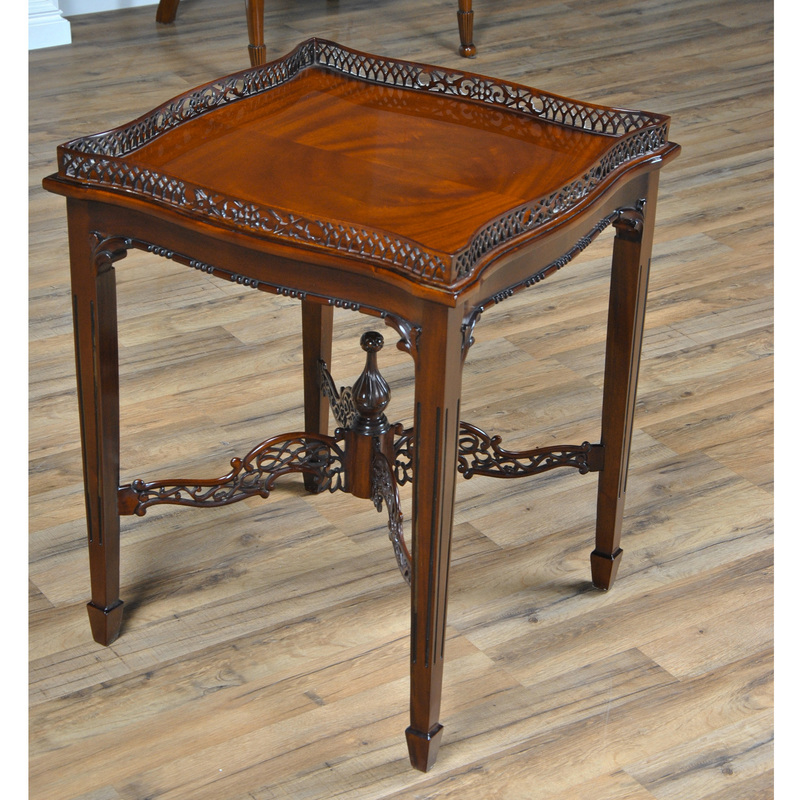 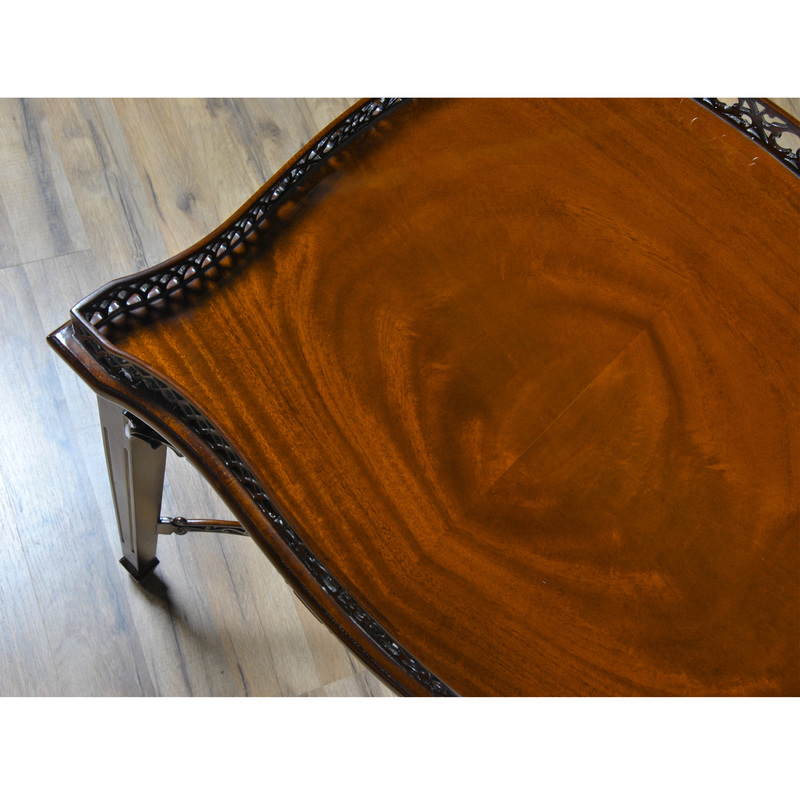 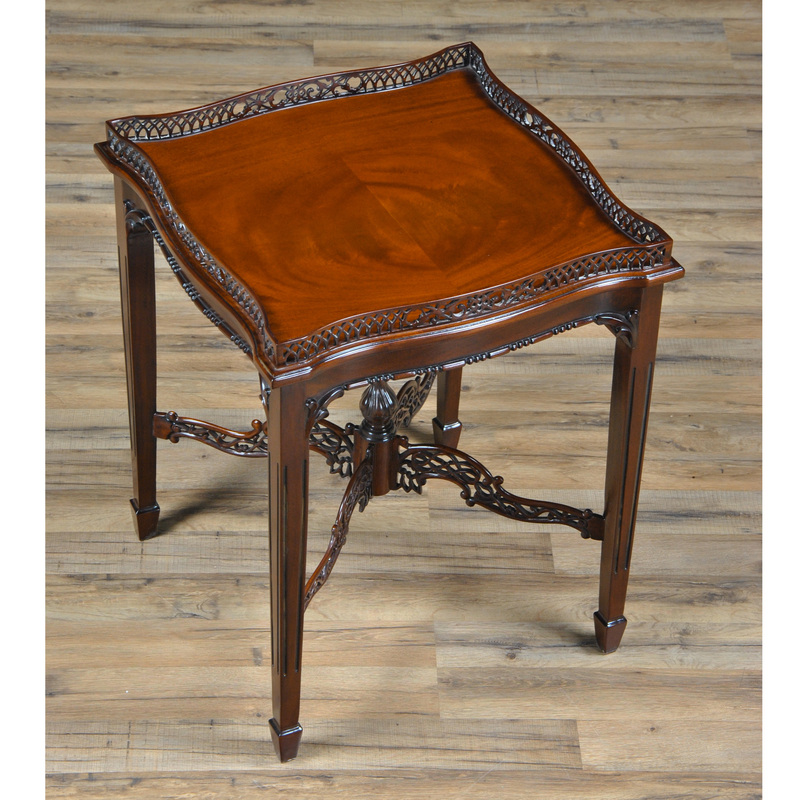 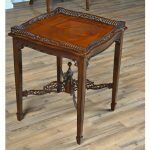 A mahogany Pierced Gallery Table from Niagara Furniture. 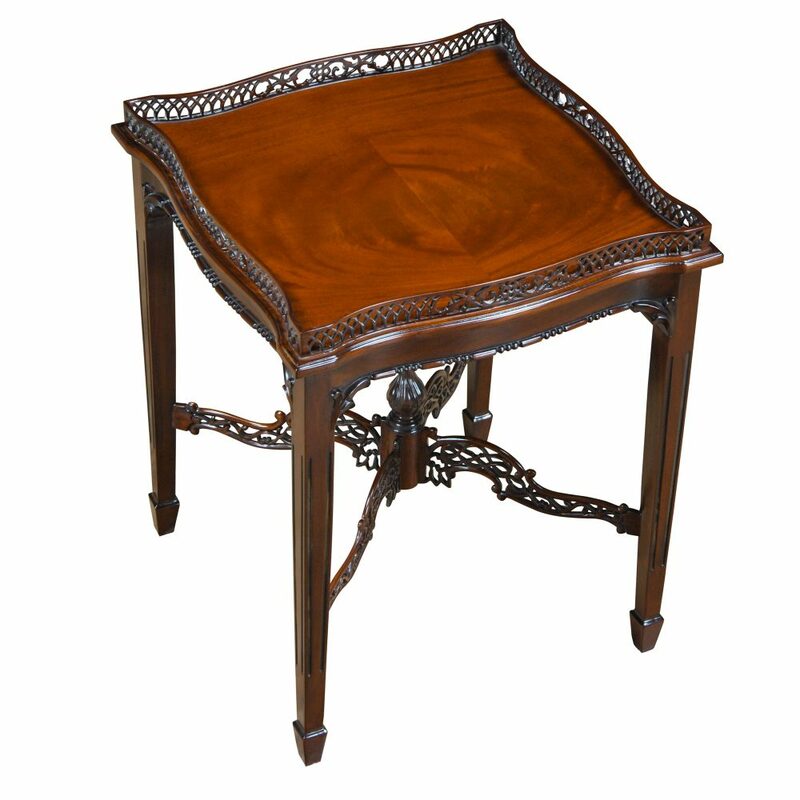 Produced with a hand carved and hand pierced edge made from the finest quality solid mahogany. 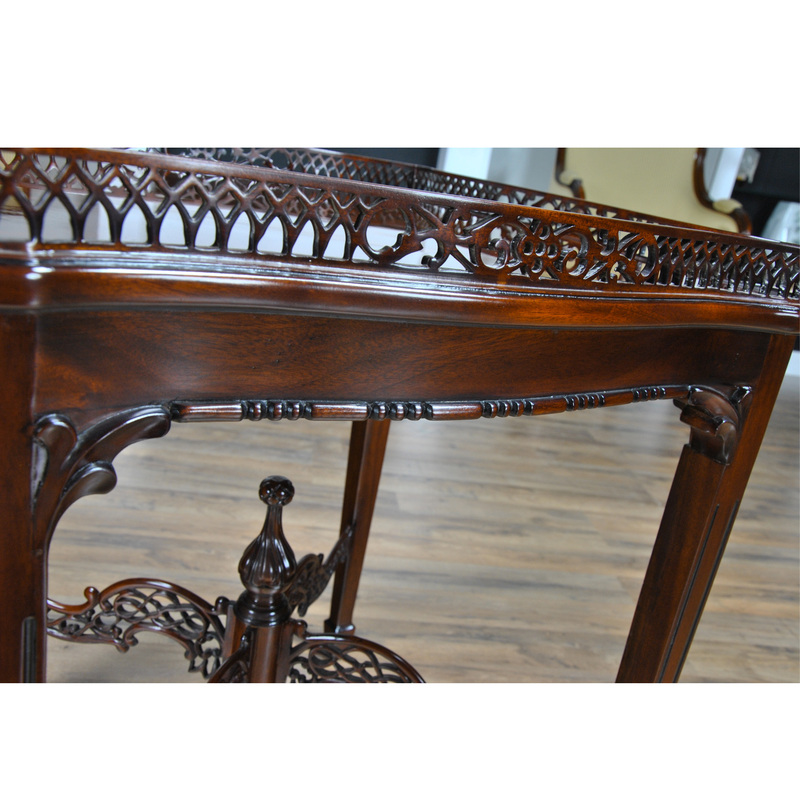 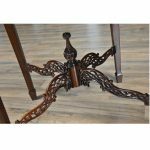 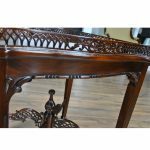 Fine craftsmanship throughout the piece includes a detailed stretcher which is also created by hand, incredible detailing can be seen in all of the pierced carvings. 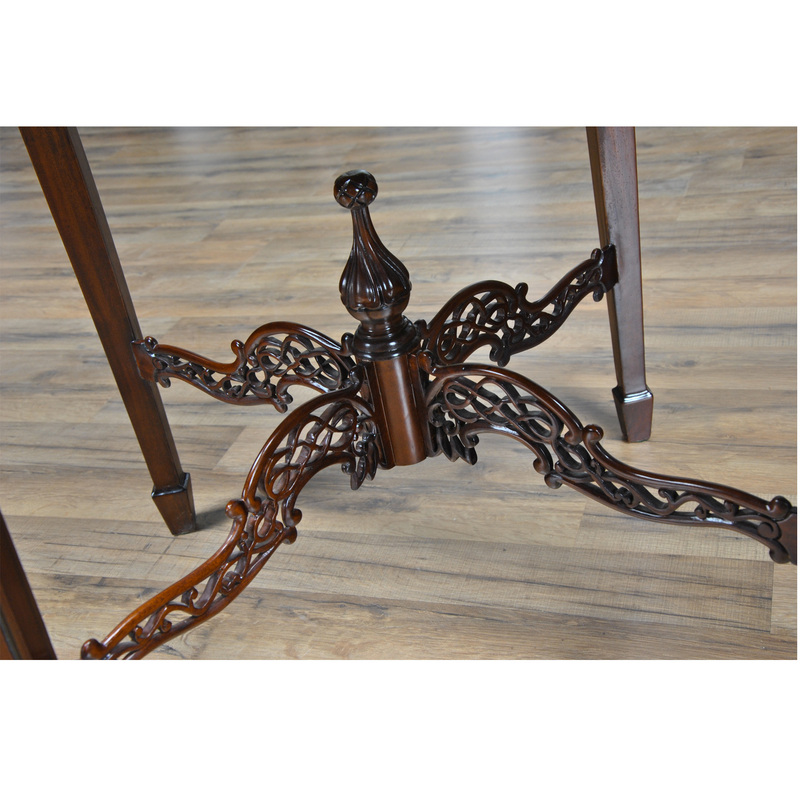 Handsome tapered legs with spade foot design.